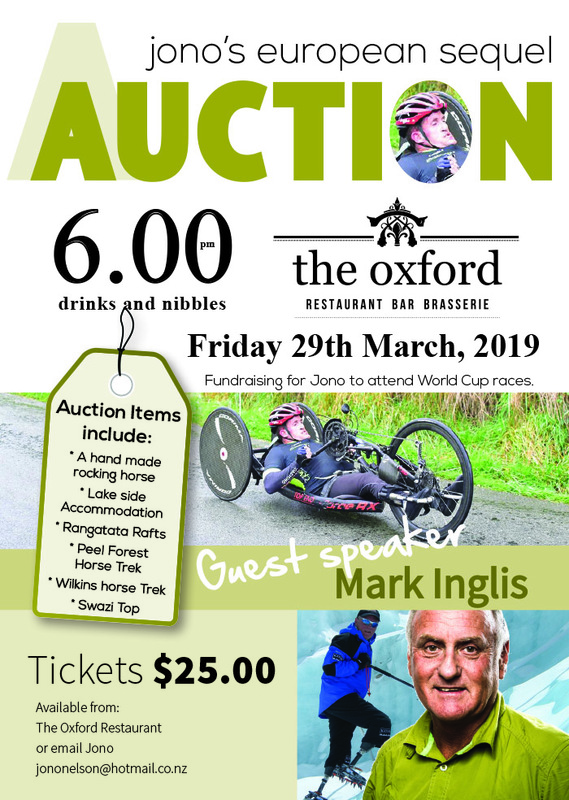 We are hosting a fundraiser for Handcyclist Jono Nelson to help him get to the Paralympics via the World Cup race series. This is Jono's best shot yet, but he needs the funds to get him there. He is in the best form of his life and has just had huge success in recent competitions – currently leading the Paralympics New Zealand paracycling series. Mark Inglis will be guest speaker for the night. There will be a welcome drink and nibbles and a big prize auction. Lets get behind Jono! 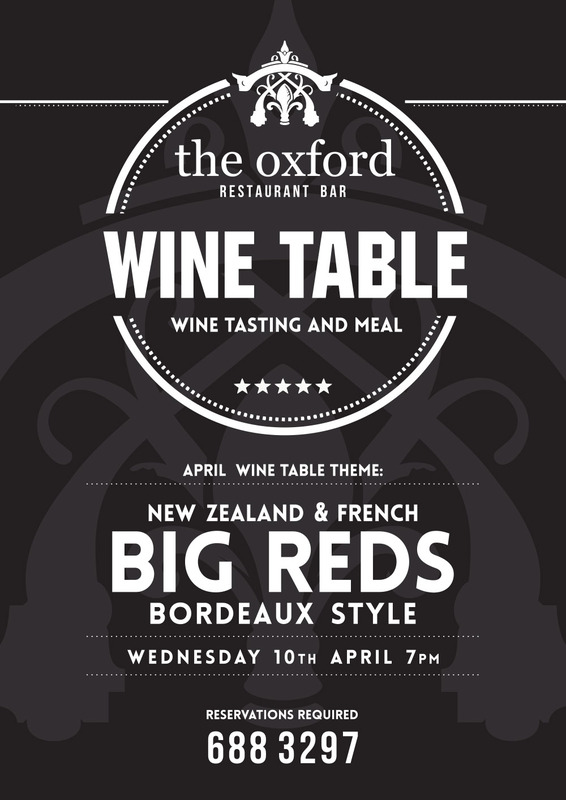 After the success of our previous wine bin end night its time to do it again. Storeroom Wine Clear out. 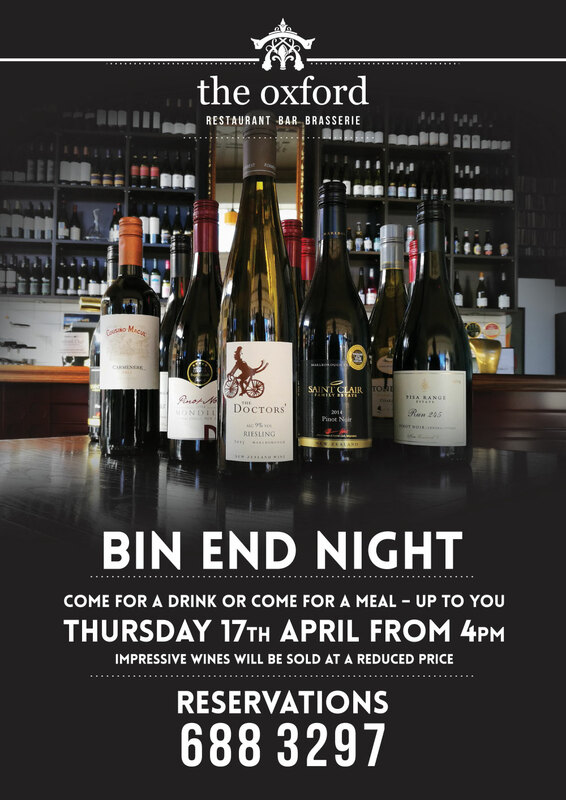 Impressive Bin End Wine Night. Come for a drink or come for a meal – up to you. We are pulling out some great value wines that we need to clear out of our storeroom. They will be wines you know and love, and to top it off, they will be at impressive prices. Limited Stock - first come, first served.